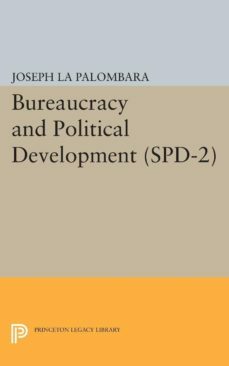 What is the role of the public bureaucracy in social, economic, and political development? What are the alternatives of development for newly emerging nation-states? How does a bureaucracy satisfy or inhibit the requisites of democratic development? Twelve outstanding scholars—Joseph LaPalombara, Fritz Morstein Marx, S. N. Eisenstadt, Fred W. Riggs, Bert F. Hoselitz, Joseph J. Spengler, Merle Fainsod, Carl Beck, J. Donald Kingsley, John T. Dorsey, Ralph Braibanti, and Walter B. Sharp—approach these questions both by historical analysis (in the U.S. and in a score of countries in Europe, Asia, and Africa), and by empirical field research (in such varied places as Nigeria, Pakistan, and Viet Nam).Originally published in 1963.The Princeton Legacy Library uses the latest print-on-demand technology to again make available previously out-of-print books from the distinguished backlist of Princeton University Press. These paperback editions preserve the original texts of these important books while presenting them in durable paperback editions. The goal of the Princeton Legacy Library is to vastly increase access to the rich scholarly heritage found in the thousands of books published by Princeton University Press since its founding in 1905.